I am often amazed by what turns up in Houghton’s collections. 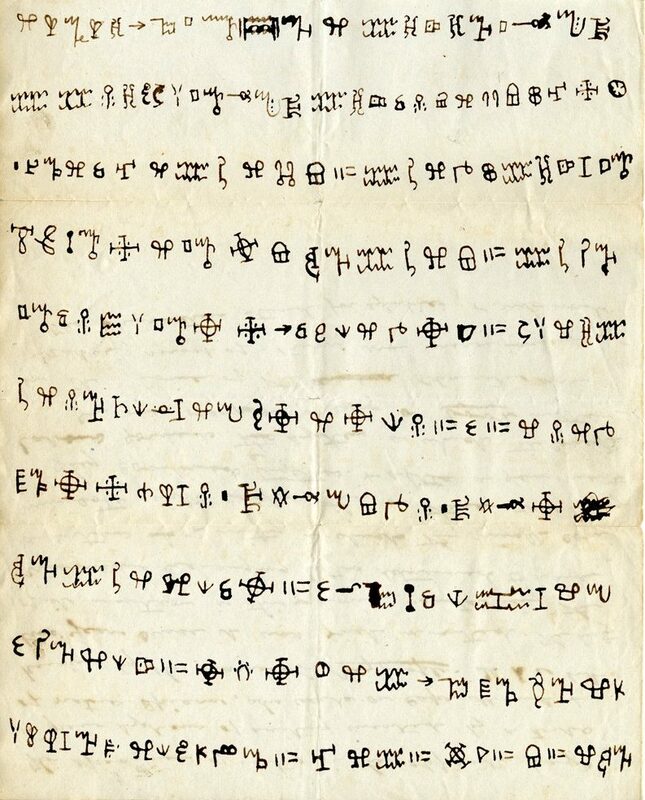 This manuscript is perhaps the earliest surviving example of the Vai syllabary, the writing system for a language spoken in Liberia and Sierra Leone; moreover, it is also thought to be the earliest extant example of an indigenous script from sub-Saharan Africa. According to the note on the verso, written by a member of the American Board of Commissioners for Foreign Missions: “It is but two years since it was first invented…Some youngsters seeing the Americans exchanging letters, determined to have a system of writing in which they might communicate with each other in their own language.” The missionaries were keen observers and collectors, and here have preserved a moment when an oral culture is becoming literate.